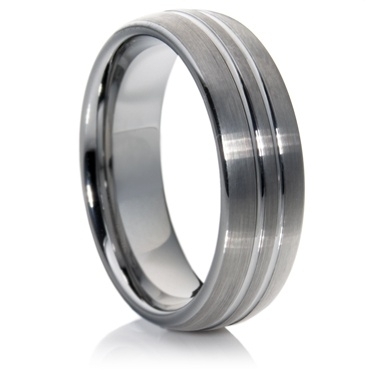 7mm tungsten carbide flat-comfort fit ring. This ring has a matte finish with two polished grooves running the circumference of the ring. Unlike other metals it will maintain its surface for many years.